India's largest and most trusted jewellery brand with over 274 opulent stores in more than 160 Indian cities. Tanishq has emerged as India’s fastest growing jewellery brand and is a name which signifies superior craftsmanship, exclusive designs and superlative product quality. The term Tanishq was coined by Mr. Xerxes Desai by marrying the words ‘Tan’ meaning body and ‘Nishk’ meaning a gold ornament. The journey of Tanishq started with the launch of 18k gold watches studded with precious stones in 1994. But, it soon grew into a 22K jeweller who presented an exquisite range of gold and diamond jewellery while striking a perfect balance between traditional appeal and contemporary charm. The brand perfectly understands the ethos of the current Indian jewellery market and keeps evolving along with its changing demands and preferences. Tanishq has brought to the market a whole new standard of business ethics and product reliability, in the process bringing about a transformation in which jewellery is bought or sold in India. Not only does it abide by the stringent standards but also adheres to strict and uniform guidelines across all 274+ stores in 160+ cities. With innovations like the Karatmeter to check the purity of gold, the brand has won over the customer’s hearts. Following the line of ethical practice further, adequate policies are in place for their karigars and they are well taken care of with benefits like health care and financial aid. It is also the only jeweller in India with a state-of-art factory in Hosur, Tamil Nadu and takes utmost care to ensure that it complies with labour laws and environmental standards. There are 3 other units in Dehradun, Pantnagar and Sikkim as well. With retail sales of over Rs. 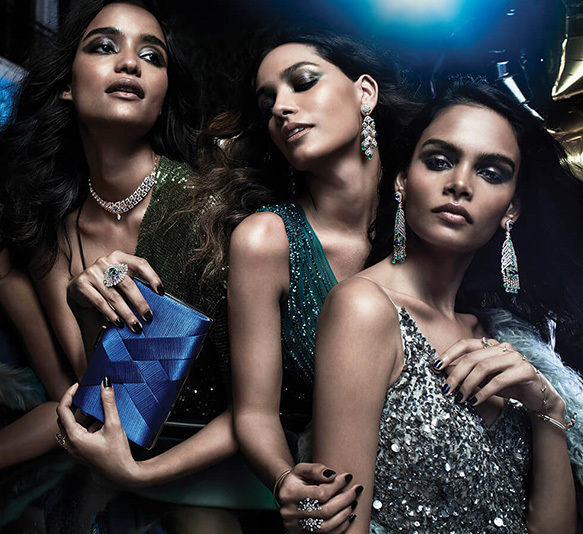 10,000 crores in the last financial year, Tanishq continues to rule the jewellery segment in India. 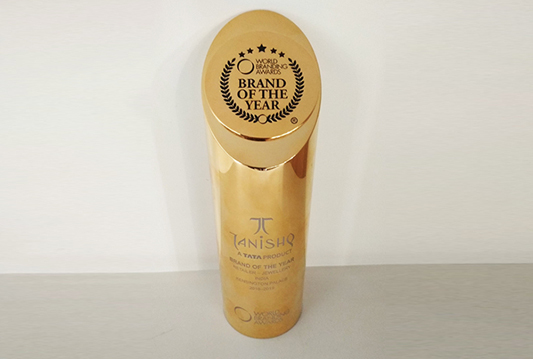 Tanishq has won the Brand of the Year at World Branding Awards in London. Preen - Own it. Flaunt it. A jewellery collection, that is perfect for women who appreciate the beauty of every occasion and adds to it with their own uniqueness!